For those of you who remember the late 1960's TV show, "Star Trek" with Captain Kirk he used a mobile phone to communicate back to the Starship Enterprise. The mobile phone, then, was called a "communicator." It was a rudimentary phone system with call place and call receive protocols; and the time setting for the show was about 250 years in the future, around the 23rd century. Now fast forward from the late 60's to the first decade of the 21st century. One of the first companies to take the mobile phone to the next level, offering a great deal more than just phone calls, Apple turned the mobile phone into a pocket sized PC. It supports Internet connections and offers multimedia-enabled applications that make the iPhone a customizable phone product. It took about 45 years to get to the "communicator" and it has easily been surpassed. Captain Kirk would be jealous. So Apple created the new style of mobile phone. The iPhone 4 is a touchscreen smartphone and it is the fourth generation successor to the iPhone 3GS. It is particularly marketed for video calling. You can access books and periodicals. Movies, music, and games can be at your disposal for downloading or viewing. You can access the web and get e-mail. The iPhone 4 was announced on June 7, 2010. The storage capacity of the iPhone 4 is 16 GB or 32 GB flash memory. It comes with 512 MB eDRAM. The display is 3.5-inch (89 mm) diagonal 1.5:1 aspect ratio widescreen LED backlit IPS TFT LCD. It may be packed with features but the iPhone is a fragile device. The iPhone is also a popular device, and users are bound to have it in their hand very frequently. Unlike the PC counterpart which does not move from location to location on an hourly basis, or even on a weekly basis, this is not the case with the iPhone 4. So to protect the device the Destroyer Case is available. It has a silicone core and a rigid exterior frame with raised ridges. The core is for absorbing shocks, and the exterior frame is for extra protection and added grip. The Incipio Vanity Kit includes one clear screen protector, a microfiber cleaning cloth, and an applicator card. There is a removable holster. It comes with a belt clip that can be rotated 360°. You can configure this holster to any style you desire. Read about alternative iPhone cases in the Top 10 iPhone 4 Cases. 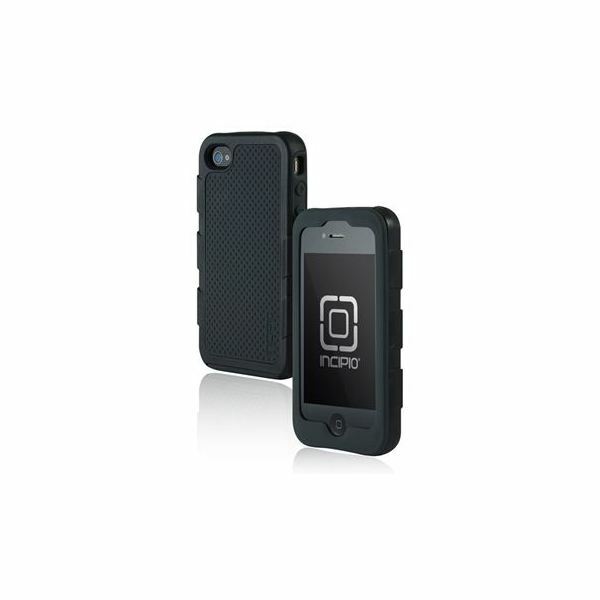 Most customer rating the Incipio Destroyer Case for iPhone 4 place it at a 4.5 out of 5. They observe that it is rugged, and protects the iPhone from accidental drops. They also like that it does not disturb your use of the iPhone. It can be easily accessed with your hand and with the belt clip you can get to the device handily. Ups: Very sturdy case and offers good protection to the iPhone. Downs: The belt clip is hard to use; it is hard to slide the phone in and out. So even if it is conveniently located, accessing it may be difficult. If you are looking for designer iPhone cases read about the Ultimate Designer iPhone Cases.